Category: 3D, Flash, Free, Mac, Online, PC. 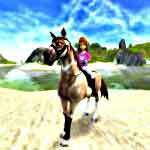 Tags: Browser, Girl, Horse breeding, Horse competitions, Horse racing, Internet, Kids, Multiplayer, Online community, Realistic, Riding, Video. More than a game, Horseland.com is a new way of life! Horseland.com is much more than a videogame. 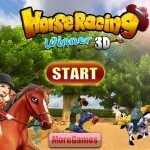 It’s an online community, where you can play games and meet other kids who love horses just as much as you do. It is free to join, and paid premium membership is available for $9.99 a month or $79.99 a year. This gives you more coins to buy more stuff and access to many more features. One of my favorite things about this game is that you create an avatar that looks just like you. You choose hair color and style, eye shape and even skin tone. I was really impressed by the details. There’s a simple tutorial to help you navigate your way around the website because there is so much to do. 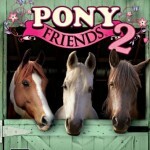 Unlike many other horse games, you can invite friends to the online community, buy and breed dogs, write updates about what you’re doing and add blog posts. It’s like Facebook for horse lovers. You enter Horseland.com with a free Quarter Horse. If you don’t want to spend real money to buy a better horse and all its supplies, like feed and tack, you can earn coins just by playing games. There are so many different types. The graphics and controls are on the simple side, but there is really something for everyone here. 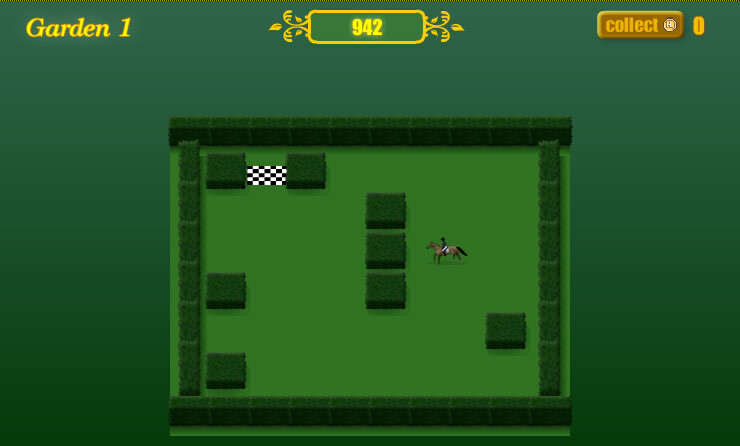 I tried out a few fun jumping games and a garden maze, where you ride your horse around. After you have some coins, you can train and enter in shows. It’s very easy to play, and each show has instructions on how to control your horse. Once you feel like you can compete, you enter. At the bottom of each show is a leader board of everyone who has competed, like a real competition. Though I found the graphics to be annoying, I like how this website is an entire community. I can send messages to friends, and I can find my friends who are using Horseland.com at the same time. However, unless you are willing to pay for membership, the website is very limited. This was SO not the game I was expecting!! I didn’t see any other riders except one and I could barley go anywhere!! I get on it sometimes, but not that often.